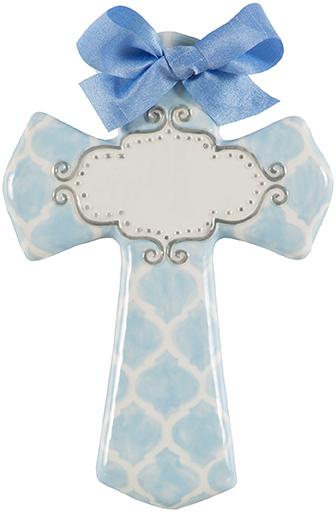 Blank blue quatrefoil 8" cross -- this cross is ready for you to personalize! Or we can personalize it for you. New from Sue Berk Designs! 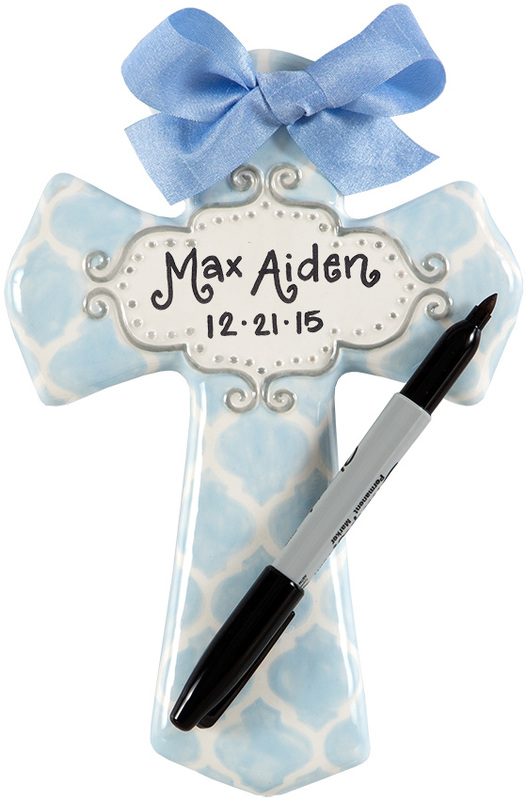 Blank crosses the you can personalize with a paint pen, or pay a small fee and we'll do the writing for you! Choose up to 2 lines for medium-size crosses. (top line: up to 16 letters, bottom line: up to 10 letters or numbers) or choose up to 3 lines for large-size crosses (top line: up to 16 letters, middle line: up to 20 letters, bottom line up to 12 letters or numbers). You can also do 2 lines for the large crosses, which we recommend. We can also do monograms. For monograms, please specify the 3 letters as they will appear on your cross.